Hello girls, I recently bought a new liquid foundation and I’m loving it 🙂 I was previously using the Chanel Matte Lumiere Powder Foundation for more than two years and it was time for me to get a new foundation so I decided to switch. Not that I didn’t like my Chanel one though, I like it still! Just thought I should start trying other brands before selecting my favourite one of all, heh. 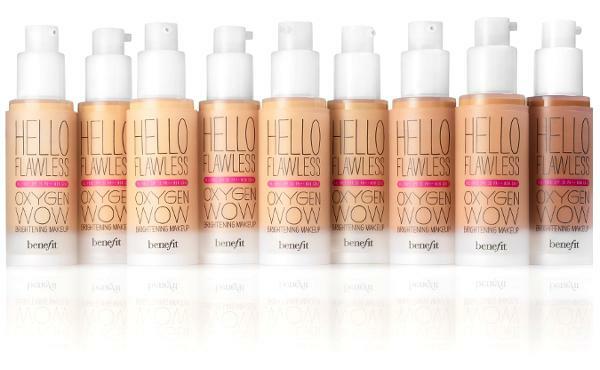 The new Benefit Hello Flawless Oxygen Wow comes in 9 different shades. I got mine in Champagne. 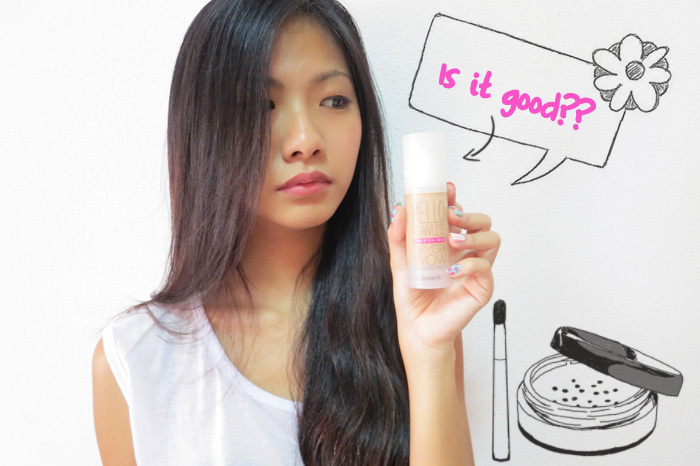 My verdict: This product is great for everyday use! 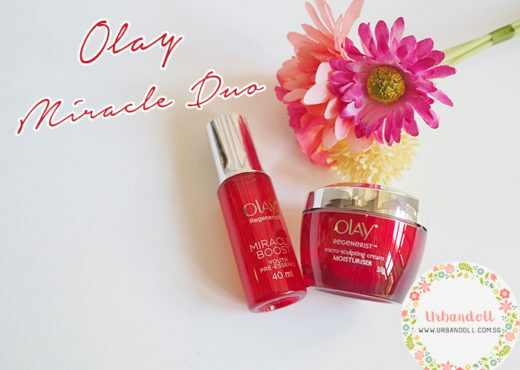 It blends easily and provides an ideal amount of coverage. I usually squeeze 1/2 pump of the liquid foundation on my left hand and and use my fingers to apply and blend it on my face. It goes on smoothly and does not leave a cakey feeling. You will never leave the house looking like you just slabbed on ten layers of foundation. 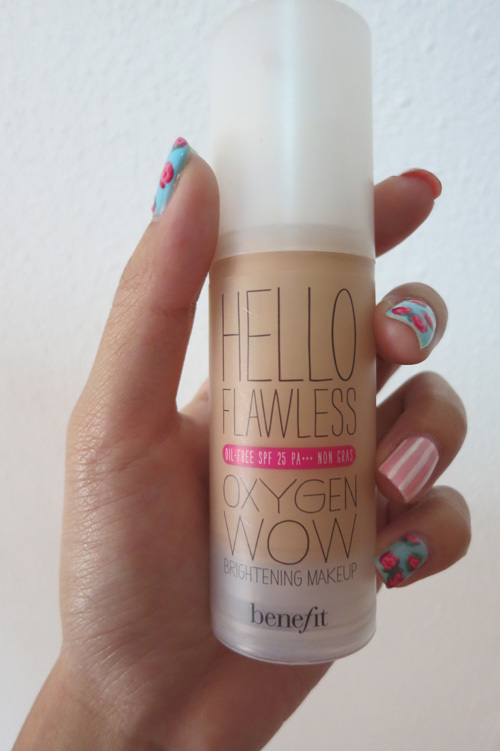 Benefit Hello Flawless Oxygen Wow (okay such a long name) is so lightweight and refreshing, it feels like not wearing any foundation at all! That is the best part about this product in my opinion, because I hate going out feeling like I applied a lot of foundation on my face. Here is a before-after I took a month ago when my complexion was in a horrible condition. Pardon my unstable hands for the blurry image but I hope you still can see the difference. In the “before” photo, you can see small red bumps near my eyebrow area and in the “after” photo, the exact same area seems to have smoothened out and the bumps are less obvious. The “after” photo looks photoshopped right? It isn’t! I only edit the colours of my pictures, no other photoshop on other areas. However, I wouldn’t recommend this product to people with oily skin because it is “luminous” and dewy. 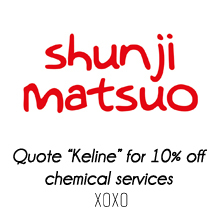 So it probably might make your skin look and feel even more oily. Also, I tried this foundation for a studio photoshoot and it didn’t work that great. I looked quite pale in the photos so I guess I might have to stick to my Chanel foundation for photoshoots because photoshoots require thicker makeup. AND AND don’t trust the colour test on the back of your hand. If you can, try it on your face directly. It is more accurate! The beauty assistant did the test on the back of my hand, it looked fine but when I applied it on my face, it was too dark! Two beauty assistants did the same thing to me, with different products. I am never trusting the colour test on the back of my hand ever again haha. Maybe it’s just me, but I think it’s better to be safe than to go home with the wrong shade! 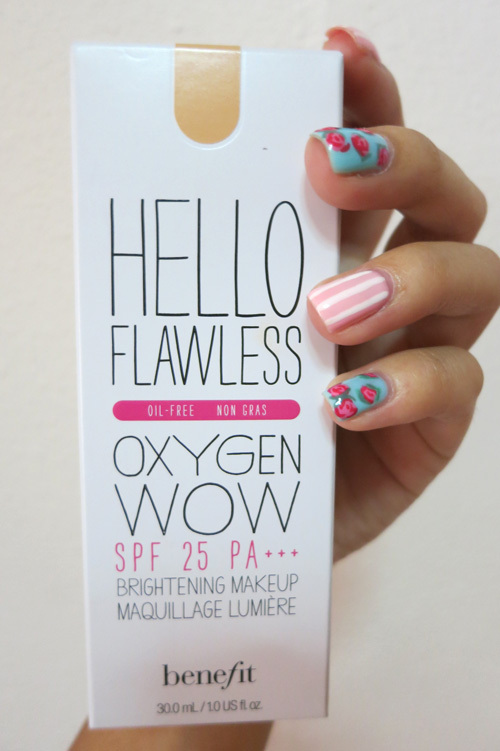 You can get Benefit Hello Flawless Oxygen Wow at Sephora for $53. 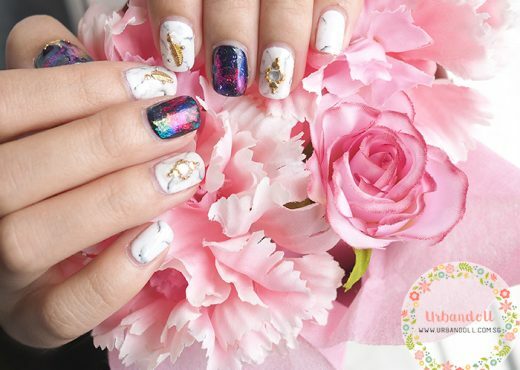 Is there a tutorial for your nails? they are amazing! Hi! The foundation looks lovely on you. Would you say that you are yellow or pink toned skin? Hmmm, with a pair of tweezers. You can get them at Daiso! 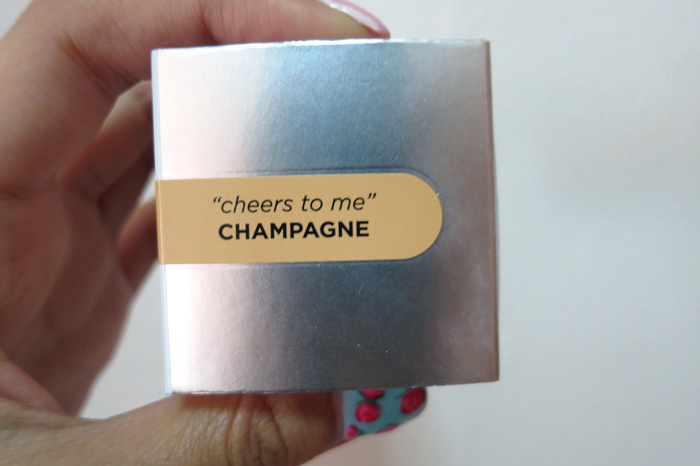 im currently using the benefit foundation that you are using in the shade of petal, the lady got tried it on my hand and champagne looks alright but when i applied it on my face.. o gosh it was too dark so i manage to change to one shade lighter which is Petal.. but Do you feel that once apply our face looks quite yellowish and dull? 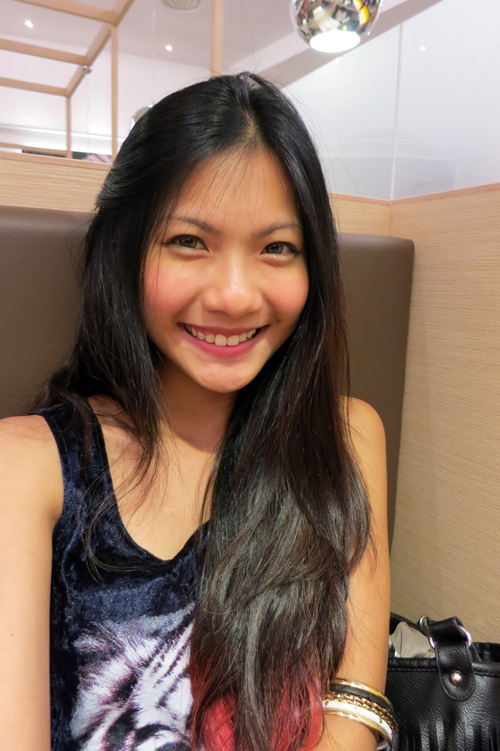 or isit me im not sure but i would be glad if you can share your experience with me ! For me, I tried it on my face directly in order to try the real colour on my face. Like I wrote on my post, don’t try it on your hand!!! It’s not very accurate. The first colour she applied on my hand was okay, but when I tried on my face, it was too dark! Guess the same thing happened to you. It’ll be a lot better and more accurate if you try on a small part of your face. I tried it near my side chin area for a better colour comparison. 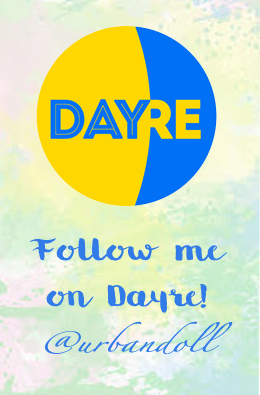 Hi, I use it since last year and i love it also. For me, Honey is the color, and it is wonderful. I do have mixed to oily skin but I fix the excess with Oil Blotting Papers from Sephora. I like the 25 SPF and the comfortable feel it gives, especially during summer. 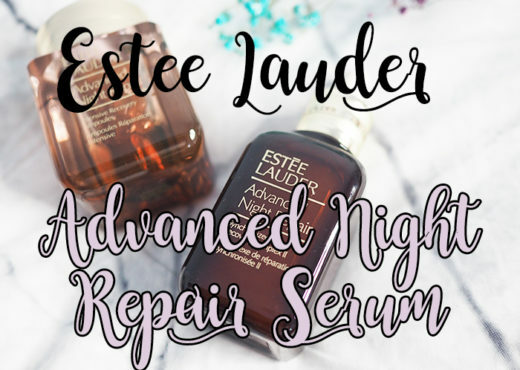 My method to test new products is to visit the shop in the morning with a clean face, apply the products and check the results at the end of the day. I will try the Chanel foundation next time.